Do you work for Tailwind? Learning about Tailwind? We can help. CEO, Co-founder of Tailwind. We're making world-class marketing easy for everyone- and have a lot of fun doing it! "The Pinterest Tool for Solopreneurs"
"Get Pinterest traffic for your blog the easy way!" Tribes is by far the best part of Tailwind, but the pin scheduling tool is a close second. Having trusted and engaged people that make up the community on Tailwind means that my pins get the type of engagement and sharing that I need to increase my website traffic. Tailwind can be kind of complicated to set up in the beginning, and this is due to the plethora of options. And how you want to use the tool. Once you find your rhythm, keeping up with scheduling takes 30 minutes once a week for me. When manual pinning starts to take up more of your time than you have to give, I suggest using Tailwind. This app will not only save you time, it will also loop your most popular or seasonal pins. It also gives you detailed analytics to help you create more of what works. I am getting my blog posts shared with many more people than just my usual website visitors. This helps me understand what kind of content I should be creating more of. As well, it is a huge time saver! "Tailwind is a great scheduler and so easy to use"
I love Tailwind as it's easy to use. It makes scheduling stress-free and I can change once pins are scheduled. The added Smart-Loop schedule is great too and though I'm still on the trial version I will probably purchase this too. The Chrome Extension is brilliant and I use it all the time. While I use Tailwind mainly for Pinterest, I also use it for Instagram so switching between the two works well for me. The insights section is excellent as I can see how my pins and boards are doing on an almost daily basis. There is no mobile app for android phones yet which is very disappointing. I check Pinterest several times during the day so it shows me more pins, however I can't add these to tailwind. Would like to see this app in use in the very near future. I find when I automatically post to my Facebook page (not personal) page, it doesn't come up with the right photo - maybe it's just me as I haven't checked with Tailwind about this problem. While the insight section shows me followers it would also be great to include monthly unique views and monthly engaged so I can see everything in one screen. While it is the only scheduler product I have used, I highly recommend it as it's easy to use. It has the ability to schedule ahead, change your schedule and provide statistical data about your social media performance. The greatest benefit is being able to schedule ahead - one time I have a full week schedule which was wonderful. The insights section is great for statistical information. "Run your Pinterest Marketing on Your Time"
I like the ability to bulk schedule across several boards and see robust analytics. Automatically posting a pin to Twitter is great also. I am just starting to use the Pin Inspector, which lets you go back and look at data on a per-pin basis to see what is working and reschedule pins that have done well. I wish there was a way to create settings for a particular board. For example, many group boards have rules about how often you can post, and it can be a little painful to keep track of those while trying to schedule content out a month in advance! I also wish more of the reporting features were available on the lower-tier plans. For me, manual pinning just isn't an option. At this point, Tailwind is the only viable option out there...so it's a good thing they do such a good job! If you are struggling with the price, think about how much you would have to pay someone to do this work manually...or the money-making work you could do if you didn't have to do this work yourself. I simply would not be able to achieve the growth in traffic and email subscribers without being consistently active on Pinterest, and I would not be able to be active on Pinterest without this scheduling tool since I have a full-time job in addition to my own business. It's like being able to be two places at once. "Tailwind Rocks for Pinterest and Instagram"
I love that I can schedule posts to Pinterest and Instagram without worrying that they'll violate the terms of service for both platforms. The suggested times, hashtags and the ability to post to tribes helps me to save time and feel confident that I'm reaching my audience when they are online. Tribes are awesome for helping to reduce double posting or spamming - as long as you follow the prompts and don't post something when it flags that you've already posted that content. I dislike how there's not more of a variety of hashtag suggestions, and that hashtag suggestions for Pinterest aren' yet available. I'm not a fan of how there's a limit of 30 days of data with the paid monthly or annual plan for individuals. I'd like to be able to see more data that can help me out, similar to the level of data included in an enterprise plan. Take the time to set Tailwind up properly. Follow all the prompts that are there to get your account set up fully - that leads to the best results and ease of use. The benefits I've received from Tailwind include efficiency, saving time, being able to schedule posts way ahead of time, and being able to reach my audience. "Tailwind took my social media game to new levels and saves me hours and hours each week"
My favourite part of using Tailwind is the ability to use it on multiple devices, no matter where I am, to do my scheduling, for multiple social media platforms (Twitter, Facebook, Instagram and Pinterest - because they are all linked together seamlessly) - whether I am at home on my desktop, late at night on my tablet, or waiting for an appointment on my iPhone - I can spend a few minutes scheduling posts whenever and wherever it's convenient for me. I can't particularly think of anything I dislike about the Tailwind app, it's more that it's difficult to plan content that fits within the guidelines of all four platforms - the character restriction in Twitter versus the image sizing in Instagram vs the infographic guidelines in Pinterest and so on. 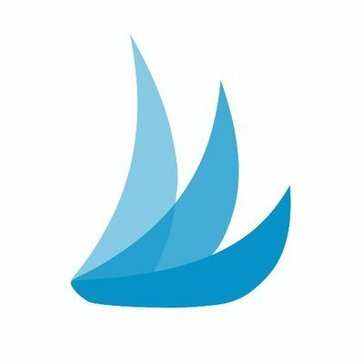 Tailwind is the biggest timesaver in my business today. I couldn't write a blog and run a business without it. The amount of time it saves me is incredible. It is so easy to use and learn, and integrates so seamlessly with other social media channels that once it's set up you can almost put everything on auto. You will spend a couple of hours doing what you once spend days! I am solving the issue of time and scheduling. The benefit for me is freeing up my schedule for other things. I no longer have to spend hours and hours creating content, posting it, sharing it, tweeting it, uploading it to Facebook, turning it into a separate Instagram post, then pinning it to Pinterest, and repeating the process 20 or 30 times a day. Nevermind connecting with other people on all these channels. With Tailwind I get to socialize on my schedule. Spend a bit of time when it's convenient for me scheduling posts for the week or weeks in advance, knowing that they will happen on time without me having to worry about them. Then I can focus on building my following on each channel, tweet about other things, follow accounts that will build my following etc. "Great for optimizing business use of Pinterest!" The only way for me to stay on top of my social media content for my business is to have it scheduled out in advance. Tailspin lets me set times for my pins to automatically update so that I can keep an active presence throughout the week while only having to dedicate one day to creating & scheduling content. My least favorite thing is that to access the analytics about when your audience is most engaged, you have to upgrade to the paid version. I get that most of these businesses have a paid subscription option to get access more tools, but that seems like a pretty basic feature that most social media managing apps/programs include in the basic version. It's a great basic scheduling tool for Pinterest content, which is a huge help for anyone trying to drive traffic to a website or blog. The analytics in the free version leave a lot to be desired, so if you really want a lot of data on your traffic you'll probably want to upgrade to the paid version. Tailwind has been huge for letting me schedule all of my Pinterest posts for the week all on one day so that I can devote time and energy to that on one day, then set & forget for the rest of the week. It also has some great analytics so that I can monitor what content is getting engagement. I am a big fan of the Chrome button that allows me to schedule, so that I can schedule something that I find while searching the web or from my email. That also allows me more easily to pin for my employer without having to logout of my own Pinterest account, since I work from my personal home computer. My new favorite feature is the ability to pin from Instagram. It's still in beta, so it is a little glitchy. But, it is a great possibility. Tailwind seems to move slow. I often save it for the last thing on my to-do list because of that. I also find the interface cluttered and hard to navigate. It's possible that there isn't another product better, but if it were my decision, I might try something different for my team first. Like their ability to pin from Instagram, I wish they would create a way for you to more easily pin from a blog. I am unaware of other products on the market for Pinterest management. If I could, I would want to find something with a cleaner interface and that worked faster. That being said, I'm not unhappy with Tailwind. I just wonder if there's something out there that is better! My team needs Pinterest to be able to schedule in advance. This allows us to schedule out ahead of time, which makes our presence on Pinterest stronger! "Great for managing Pinterest as a business tool"
Pinterest can be difficult to utilize for a business since it's completely different from other social media platforms. Since I'm still in the learning phases of figuring out how to target my ideal client through Pinterest, Tailwind is such a huge help to me for making sure that I'm heading in the right direction. T dashboard page gives you suggestions for how to improve your Pinterest account, but I wish there was an option to dismiss suggestions. I typically take their advice, but certain suggestions (ie: inviting collaborators) don't work for me and I don't like having the pop up still on my dashboard suggesting I do that. Definitely a small complaint, but it's really the only thing bothers me so far. If you want to utilize Pinterest for your business, Tailwind is amazing for analytics and management. The free version is fairly comprehensive, though for more in-depth analytics, you would definitely want to upgrade to their paid-for "Plus" subscription. Since I do not currently share the management of any of my business's social media accounts with anyone else, Tailwind helps to streamline my use of Pinterest and make my life easier. I'm consistently taking webinars, reading blogs and finding tips for Pinterest strategies. It's a very different approach than how you would use Instagram, Facebook, Twitter or Snapchat for a business, so I'm very much still in the learning process. Tailwind is helping me track what content is resonating with potential clients. "Tailwind Makes Me Sail Through My Posting"
I love how easy it is to post in social media, and to re-queue a post from my library. Saves me so much time. Also great that I can see comments without going to the post. It is difficult to scroll down on the drafts so that I can select pinterest and Facebook. Sometimes I can see a scroll bar but not often. Also, just loaded a site update for Photographypla.net and the Tailwind logo for easy posting is missing. What's up with that? I can still right click and post. Buy it and use it! Build visibility in social media and manage Pinterest account of 27,000 followers. "The one tool I actually use every single day"
Of all the blogging tools that I've bought or subscribe to, Tailwind is the only one I use every single day. It lets me schedule a month's worth of pins in under an hour and helps me connect with other Pinners in my niche. Customer support is outstanding, and they're always adding new ways to make my life easier. Not a thing. I can think of little features that I'd like them to add, but I am hard pressed to find something that I don't like. Maybe the price of the add-ons. They are a bit high. Especially the new auto-loop. Other than that, there isn't much to dislike. I use it to find and schedule great pins to Pinterest, as well as promote my own posts. As far as benefits go, I've seen an increase in my Pinterest monthly views, engagement, and followers. The interface mimics Pinterest, so it's intuitive and easy to use. I also love the scheduled time slots to the side, so you can easily move pins around. Tribes is also an incredibly useful feature and can really help you up your reach on Pinterest. Also the base level is really affordable, great for small businesses or bloggers. It would be really nice if your drafts showed up in order by board, instead of just random. Would also like to be able to schedule more than 150 drafts, but maybe that's an upgrade feature. The tailwind re-scheduler from Pinterest could also use some help, it's clunky and slow, and takes way too many clicks. It's the best one I've ever tried for Pinterest, but I don't really know how it is for Instagram or other social platforms. SO worth the investment for Pinterest scheduling, it will make your life so much easier. Pinterest is our biggest traffic driver, but I can't waste all day pinning things. Tailwind helps keep it organized, keep it regular, pin way more than I could on my own, and really helps expand reach and traffic through best practices and Tribes. I love that I can pin many pins ahead of time, and organize my pins. The tribes are a great feature, and it really does help spread each other's content. The smart loop feature is helpful. I wish I could type in a specific date on a pin and have it move to that spot in the que. The smart loop helps me do specific types of content at more specific intervals but I would like to be able to get even more specific with it. We have increased our engagement on Pinterest. "Why Tailwind is a Must for your Pinterest Marketing needs." The ease of use combined with the huge amount of possibilities that you have. The overall layout of the program is very user-friendly. Also, the addition of the auto post feature makes tailwind gold. With this feature, you can align all your marketing strategies at once. If you want to be professional with your Pinterest game, Tailwind is the software that you have to choose. It has all the features you will need and then some. Because Tailwind is optimized for Pinterest it fits seamlessly with all of its features. Add a great Instagram autopost feature and you instantly know that Tailwind is the software to use for your online marketing. The automated posting feature makes the Pinterest work a lot easier. Because all the useful functions are onboard, you can tweak every post before it goes live. If you want, you could schedule for a full year in advance. This also works with the Instagram auto-post feature. You can align both schedules for maximum marketing results. "Get Tailwind! Don't be the Pilot that said I don't know where I'm going but I'm making record time! " Mulitple Boards, Humans on the phone or chat. Tribes are great. The articles always informative on top of their game. Everything at Tailwind is the best and I have tested them all. With Tailwind's direction and information, my business acct BARZZ has just reached 1.2 MILLION Viewers with just 500 followers. If that was FB I would have 20 people. Once again THANK YOU Tailwind FU FB. Get rid of any other marketing programs for Pinterest and Instagram. Get TAILWIND. Posting on Pinterest automatically saves a tremendous amount of time. Analytics also helps to show whats working and then I correct what isn't. "I couldn't live without tailwind"
so awesome for pinterest and brilliant for instagram! It is an absolutely essential tool for any serious blogger.I love the tribes as you can help out your friends and easily schedule their content and I really love the instagram scheduling. Nothing. I love it and it is a constantly evolving tool, so it is always being updated and added too. GET IT. You won't know what you did before when you get it! It helps with scheduling, pinning, making pinterest better and it has helped me to grow my brand on instagram and pinterest. I love that I can pre-schedule my Instagram posts! It saves loads of time! Sometimes it can be a bit hard to navigate. Also, the tutorial sometimes starts again when you sign in and makes you think you are creating a real post, but it never lets you post and you have to start again. Tailwind has a free trail, I highly recommend trying that first. It will give you a great idea of whether or not the product will work for you! I'm saving time by being able to pre-schedule instagram posts, but it also suggests the most successful hashtags and posting times! It's really upped my instagram engagement and success! "Extremely useful for anyone wanting to build Pinterest following"
This is probably my favorite tool that I use with marketing. Manually pinning takes up so much time, whereas with Tailwind I can just spent 5 hours in the beginning of the week to pin everything for the entire week without worrying about it. It also helps me optimize the best times to pin. I like that I can see which pins are performing the best so I can replicate them. I don't like that if I want to see all my previous pins from tailwind farther than 30 days back I have to upgrade to a higher cost membership. I also wish there was a way for me to pin my buyable pins through Tailwind, that would make it a lot better. I also like the new "tribes" aspect, but it's hard to start new ones on your own and to get people to really join them. It's a pain when the source/url of pins you're pinning doesn't carry over, and I'm not really sure why that happens, but it's still easier than manually pinning things one by one. Definitely start using tailwind if you have a physical product or if you're a blogger. It will save you a ton of time. I'm able to save a ton of time by scheduling everything to go on pinterest for the week, instead of having to do a little each day. 90% of our website visits are from Pinterest now, so it's helping get our brand awareness out there. "Tailwind was an excellent discovery..."
It saves me a lot of time posting on Pinterest and it gets me loads of traffic. Hard to say yet as I have not been able to get my head around all the great features, but so far nothing negative to declare. If your really want to save a lot of time posting to Pinterest and Instagram and get loads of traffic to your businesses, this is definitely for you. Saves me a lot of time and is getting me more traffic than I could have without it. "A Beginners Guide to Hashtags"
I feel that this program is a lot like Buffer, but with one difference. Hashtags. Tailwind really helps you discover which hashtags are best to use. I don't always use Tailwind to upload, but I do put my images in to Tailwind to make sure that I am using the best tags for my post. Like I said, I find this to be very similar to Buffer. And instagram's rules make it difficult to find this program as useful as it could be. If I could do all this work and then just leave the program to post for me, that would be wonderful. But the reminders, while useful, are not quite as useful as posting for me. A really great tool, but if you already have your schedule figured out and your hashtags down, then you may not need to use Tailwind. This really does help me schedule and reach as far in to my audience as I can with tags. "Tailwind is the answer for growing Pinterest"
Tailwind is SERIOUSLY amazing. I was able to grow my Pinterest from only a few hundred engaged users to over 2.5 MILLION in about 8 months. Additionally, my following went from a handful to over 1300! Tailwind offers a service for both Pinterest and Instagram, I wish they were both included in one monthly subscription. I recommend following Tailwind on YouTube for great tips/tricks/pointers and to learn about new features when they are released. Tailwind makes it super easy to schedule posts to Pinterest. I schedule over a month at a time. This allows me to stay focused on other business matters while my Pinterest account is being taken care of and growing in the background. "Great program for managing Pinterest"
Tailwind is so easy to use and helps drive traffic to my website, which increases my google listing! "Tailwind is everything they claim to be." It saves me time. I especially like the interval spacer which lets me post the same pin, with all its keywords etc., on to different relevant boards without having it show up over and over again all at once. It feels a lot like free exposure. I have not figured out the ad campaign strategy on pinterest and a lot of the information everywhere, including tailwind, seems directed to bloggers, who just want to drive up their numbers to attract advertising revenue. I want to get customers to my store and am working on attracting our best purchasing audience, not just visitor. I wanted to pin regularly without spending too much time and tailwind has been perfect for that. "Easy to use for organizing Pinterest platform, with minor glitches. " It allows me to schedule pins WAY in advance, and always lets me know when I am going to run out of pins in the queue, so I can stay on top of my game. Occasionally the website will glitch and schedule duplicates of a pin, which isn't THAT detrimental to the brand, but it's definitely not a positive attribute. The ability to batch schedule, which means only going in once a week for about an hour and planning out the entire week. It takes less time, and tailwind makes it really easy to organize everything. We are able to constantly reach out audience throughout all times of the day because we have our automated schedule set up that way. "Waste of time for nothing"
Absolutely nothing. It didn't teach me anything I didn't already know, and it wasted my time. Tailwind was a waste of time: it did not offer the one feature I wanted, which was to schedule a post and have the app post it. I might as well have put all of that information into a google calendar event that would alert me and I could copy-paste from there. I resent having gone through all the process of setting Tailwind up, downloading it on my phone, signing in multiple times, dealing with the glitchy demo post, all for nothing! And there's no way to log out on my phone internet browser or app? Sketchy! I will definitely warn others not to use Tailwind. Just use a google event to schedule your posts: Tailwind won't add anything. All I wanted was an app that would post social media posts I scheduled in advance: simple. But Tailwind still makes one leave the app, go to Instagram, find the photo on your phone, copy in the caption, add tags and location, and all the work of posting without the app, no value added. I realized only a waste of time! "Top Notch Publishing Tool for Pinterest (and Instagram)"
I wish it would allow me to share to my Facebook Business Page. If you want to take control of your social media marketing on Pinterest and Instagram and save yourself lots of time and stress - Tailwind is the application for you. Staying on top of Pinterest easily - managing my boards, comments and working with others to promote socially online. "Tailwind works for the most part." Pinterest has an annoying feature where you cannot upload more than one picture at once. Tailwind is a solution to that. I have used it multiple times for mass uploading pictures to Pinterest and I have not had any issues, at least after I figured out what I was doing. Personally I do not find it to be very user-friendly. I am fairly tech-savvy and even I struggled a little bit to get going. I'm sure they may offer tutorials or there may be some youtube tutorials but I decided to jump right in and see what I could do. Don't be fooled by the Tailwind scheduler. When I first uploaded some items to pin to Pinterest I thought I may have been defeated by having to wait until certain days for them to upload. Some people may even prefer that option, but I wanted to upload a bunch of pins at once. Luckily they had a "pin now" option after I upload the pins and their pertinent information. Until Pinterest changes their ways and decides to add a mass-upload option, then I plan on still utilizing Tailwind for those needs. "Do you want a Pinterest analytics dashboard? Look no further, you found it! :)"
I love Tailwind's customer service and how easy it is to schedule pins. Give it enough time to learn the dashboard and test to see what works for your account. It's not magic, it's data. It saves a ton of time and it helps us make informed decisions about our Pinterest marketing. "Tailwind makes Pinterest a breeze!" There are so many things I enjoy about Tailwind. I mean, it's a scheduler! Anything that helps me keep my social media work under control is a plus for me! But tailwind is more than just a social media scheduler or pin scheduler. It's also a great way to continue promoting your tribe. Which is what my favorite part is. Tailwind Tribes make pinning from my biz besties so much easier! I really wish there were options for looping pins. Having the ability to loop pins makes life so much easier; especially if you're needing to Pin your own content. And let's be honest... who isn't? Tailwind is an amazing app/program for scheduling Pins. Now, you can definitely schedule pins with other services but I've yet to find a program that offers group/collaborative pinning. It's really nice to be able to connect with specific people in my niche to share each others content quickly and easily. Pinning material is time consuming. As an entrepreneur, I'd rather devote my time to more important tasks. This solves the problem of having time to Pin. And it's freed up so much time for me! "Tailwind has made Pinterest so much easier to use!" What I like best about Tailwind is its ability to schedule pins weeks in advance at the specific times they will be most likely seen by followers. My only dislike about Tailwind is with the "Your Schedule" listing of dates. The field displaying the date is too short and when the numerical date is more than 1 digit, it's necessary to hover over each and every single pin in order to see the actual numerical date for the pins. Very time consuming when recording dates for 12-15 pins per day each week! I don't use Tailwind for business, but rather for Educational purposes. Still, using Tailwind has solved the problem of making valuable educational products visible to more people. The benefit has been increased income due to increased visibility of the website. Ahhh Pinterest. Our favourite long lead channel for clients with an aesthetically pleasing and visual product. Tailwind is the solution we could find for scheduling pins for clients, and being able to see at a glance that we were getting an even spread across all boards. Images are uploaded to the dashboard, assigned a caption, and assigned to the board of your choosing. Scheduling the pins for an optimal time and reviewing to ensure that they are achieving targets is easy with the aid of Tailwind. Also, the fact that the software is free goes a long long way. Edit: After chats with the Tailwind team, there's a distinct possibility that the linking feature simply eluded me at the time and did in fact exist. If Pinterest is a key component of your social media distribution, then Tailwind is a must. This is a useful work around for the inability to schedule pins within app/software. As mentioned, it's beneficial to see the spread of the pins to board ratio, but the inability to confirm links is an important feature - perhaps a paid model is required? Tailwind cuts down time spend with Pinterest by 75%+!!! It's easy to use and I've seen Pinterest following and engagement increase. Highly recommended. I don't like that Instagram and Pinterest are two separate payment options. Get it, learn it, utilize it! With a baby, a part time job, and running a business, Tailwind has increased my productivity. Viewing data is helpful and meeting new people to collaborate with is a huge plus. "Great Pinterest monitoring and posting dolution"
I have been using Tailwindapp for less than 8 months and I love it. My favorite feature is the ability to monitor how my domain is being pinned by others. I can easily see recent pins from my site, what I'd normally do then is interacting with that pin (liking and commenting) as well as connecting to that Pinterest user. That has been working miracles in terms of growing meaningful connections and even improving my Pinterest referral traffic. I love it that I can schedule pins too: I have no idea why Pinterest wouldn't allow that! Tailwindapp offers very useful browser extensions (Firefox, Google Chrome and Safari) which allow you to schedule pins on mouse-over. Tailwind will also show your scheduled calendar for you to see how you are scheduling. Pinning from Instagram is another recent feature I really like: Makes it possible to reuse those Instagram photos of mine! By nature, Pinterest is good for only some industries. If you are into less, non-visual niche, I wouldn't probably invest into Tailwindapp. Free trial makes it easy to test the platform and see if this is something you need! Scheduling pins, pinning from Instagram and domain monitoring: All three features have allowed me to do much more with visual marketing! I love how easy it is to schedule pins and manage content delivery. The analytics are a bit sparse and you can’t look too far back, so you have to keep weekly records to get a big picture perspective. We’re using it to manage our Pinterest account. It really helps with bulk promotion and content distribution. "Convenient Tool For Pinterest and Instagram Scheduling"
The ability to schedule Pinterest out alongside Instagram. This means we do not have to bulk post on one day of the week. This will do wonders when looking into engagement! Instead of posting 50 pins all at once, we can schedule these pins to go out over days or weeks in advance. The only issue I've have so far is the timeline of their customer service getting back to us. One time it took 2 days, and the next it took them about 5-6 days. These were dealing with semi-important issues too. Do it! This is an easy to use way to manage Pinterest and Instagram accounts. We don't have to spend a day every week doing bulk Pinterest pins. This means our content can be spread out. This will also help us with engagements rates versus pinning all at once and not again for another six days. "How to Save Time and Energy When Marketing"
Marketing to my target market consistently takes time and energy, but, I can't be online 24 hours a day. That is why I love Tailwind. I can schedule social shares at the best times to post in advance even when I am away from my computer. There is no magic wand that does everything for me...Just kidding.. Scheduling posts with Tailwind makes it so easy I don;t need a magic wand. Try it- you'll like it. Tailwind is an awesome tool allows me to save time and take care if my Pinterest schedule for weeks in advance. I don't dislike anything. I would like to have more time to understand all the options Tailwind offers. I feel like I am not using it to its full potential. I have increased my Pinterest reach from 0 to 1 million unique monthly visitors in the last 5 months. "Tailwind to increase your Pinterest success"
I like the way that Tailwind tracks my Pinterest activity among those who follow my boards and those who visit. I know that if my follower count has not risen then I need to be more active. I wish that it was tailored to increase the amount of people who follow one of my boards. Other than that I really like Tailwind. Know that you will get periodic emails from Tailwind with activity around your Pinterest account. The tracking of pins that I have. Also the number of followers I have. Not sure If I do dislike anything. I've been using it for a while if I've had any issues they're happy to sort it out quickly. Try it you'll like it. It gives me an opportunity to spend a short time working out my schedule for a few days in a row. 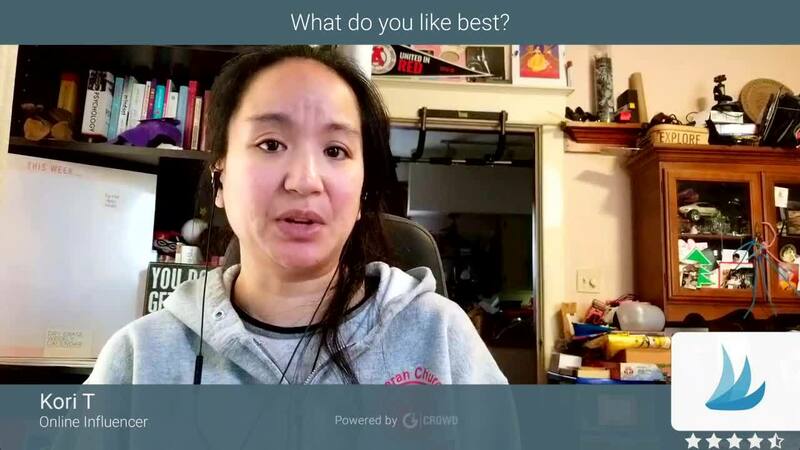 "Tailwind has been a game changer for my productivity "
Having the ability to sit for a bit, create content and schedule it out , has been a huge productivity changer. . To see what works and what doesn’t has been a revenue changer. Less time, more money. What’s not to like! I still wish I could post to Pinterest, Instagram and Facebook with one image/text (fullu automated without major modifications). Unfortunately the image requirement differ for all three. I have tried using all the tips, but the images come out nusable on Facebook and Instagram. Work less on social media marketing. Increase revenue by working smarter. Sometimes the software can be kind of slow. Other than that, there is not much I dislike...except maybe the price. I do wish it was cheaper. I don't really find the analytics useful at all. I pretty much use it for scheduling only, which makes it a bit expensive. Use it! It is awesome! It will completely change your Pinterest experience. I am solving the problem of not having time to pin every single day. I have seen an increase in pin engagement, followers, and sales of my products. It's a must for anyone who wants to market their products on Pinterest.